nonchalant mom: music :: what's your delight? I am terrible with music and I can't even believe that I am giving advice on music but this is just meant to be a light... what are your 10 favorite things-type post. I have so many favorite things right now, my shop, my sweet customers that come and actually remember our old shop on Main Street and say that they missed me, big *heart* goes out for all that and my kids are the biggest delight. I'm not home as much anymore but they are handling it with true rigor - homework, chores, and new challenges - it's all been a good thing. But life is not always a bowl of cherries, I know that... I have found that music is my drug - I have a new relationship with music that I never had because I play music all day in my shop - well not on Sundays when I listen to all the storytelling on NPR. These are my top five searches I have found in Pandora. I shared some of these with my sister and she told me I should write a post about it and so here it goes. 1. My most favorite Pandora search is "Billy Paul" - he sang "Me and Mrs. Jones" (one of my all-time favorite songs). 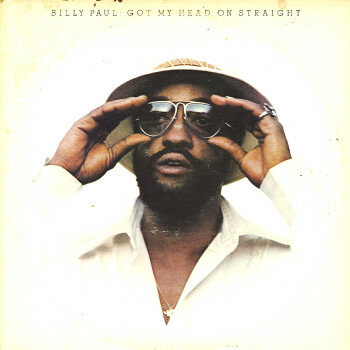 Well he died recently, just about the same time as Prince, and as tribute to him I did a Billy Paul search and it's the most delightful music for the entire day! 2. You are not going to believe this but my second favorite is "Gordon Lightfoot" - I have no idea how I came upon this but it's great! I just let it go all day long and it's perfect, it makes me laugh. 3. I read an article about Benjamin Clementine in the T Magazine and bought the album and I love it - it also makes a great Pandora search. You end up with a bit of bluesy songbird-type music. 4. Johnny Hartman is one of my later in the day searches and I love it - just a cool lul that helps me finish off the day. And we all need a bit of romance in our lives, we would starve without it. 5. The Eagles is my last... this is a bit similar to Gordon Lightfoot but just slightly different.